Join us as we show go over our design process and how we fabricate our ultra-light, ultra-strong and ultra-durable items, featuring the collapsible Austin Table. 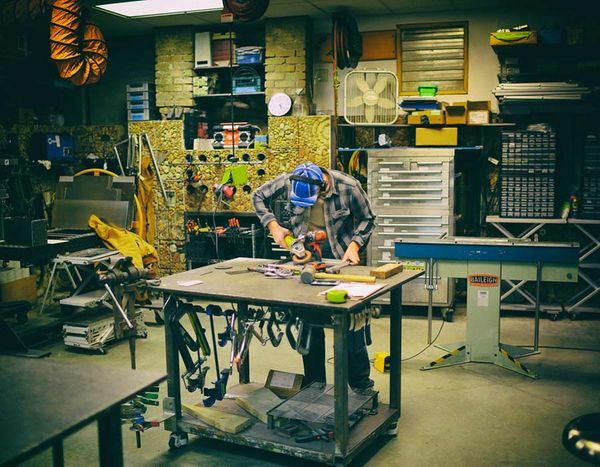 Box Table Studios is hosting a tour of our Fabrication Facility and Office/Photo Studio. Our fabrication shop will be showing our Aluminum bending capabilities, how we rivet our products together and the different stages of assembly. In our office, we will be showing our Solidworks CAD designs and offering free head-shot photos to anyone interested. Finally, we will go over our entire product lineup and offer a free Austin Tray raffle. Refreshments provided.